Pure Silk Duvet. 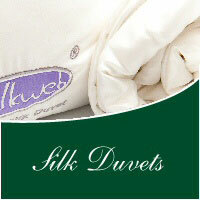 100% long mulberry silk duvets, silk bedding, silk pillows - silk sheets. Naturally hypoallergenic, soft, warm, lightweight silk duvets with silk's special quality of temperature control. Warm in winter, cool in summer. Stockists of Silkweb silk products. Indulge yourself with silk sheets. Our silk sheets are made from only the highest quality silk and are available in 7 glorious colours. Pamper yourself and enjoy the natural benefits of silk duvet. Our silk duvets are individually hand made using the finest quality new long fibre mulberry silk to ensure the luxury that you deserve. 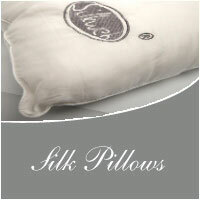 Silk Bed Linen & Duvet Specialists - Relax in a Silk Bedroom - Why you Choose Us? We offer a no quibble 7 day money back guarantee if you are not happy. Simply return your items and we will refund your order. We don't skimp on product design and therefore don't use cotton. Not only do we fill our Silkweb duvets and pillows with the very best long fibre Mulberry Silk we also go that extra mile and case our duvets and pillows in Silk to give that extra luxury. Puresilkduvet is the trading name of Corelli Solutions Limited. 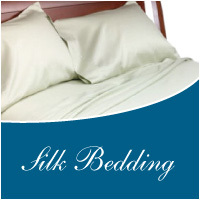 We have been selling silk bedding for the last 9 years and in existence for the last 18 years. 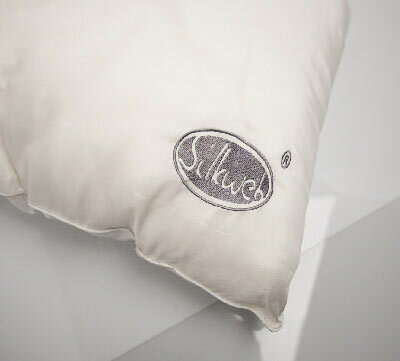 We own, design and distribute silk products under the Trademark Silkweb™ and we aim to produce the highest quality silk duvets, silk sheets, silk pillows and silk bedding in the UK. We are also distributors of the Silkweb™ line throughout stores in Europe.